Today I’m talking about chasing payment as part of good credit control. Your business has provided the goods and services. There isn’t a dispute over delivery times or quality. The payment terms and conditions were agreed and signed. But there is still no payment. You’ve sent the emails, and made the calls. The monthly statements have gone out, showing the outstanding debt. You’ve heard the excuses, and resent copy invoices. Still there’s no payment. At this point your business is under threat. You have already spent or committed your resources on goods and services. In my last blog I talk about how vitally important cash flow is to your business. Remember Cash is King. Without good cash flow your business will fail. So….What are your next steps? I would always recommend talking to your customers business owner or finance director. They could be experiencing short-term problems. Sometimes you can come to a mutually acceptable agreement, without taking further action – especially important if it’s a valued customer. You could try offering payment plans, breaking down the debt into smaller chunks over a few months. Of course, you do need to look after your own cash flow and business interests. A credit control letter tells the customer that you are taking the debt seriously, and are prepared to pursue it. The customer is more likely to pay you first, ahead of other suppliers. There are plenty of examples of credit control letters on the Internet. There’s also advice on when to send them. I recommend that you go to Crunch.co.uk. You have every right to charge your customers interest on late payment and claim for any debt recovery costs. The rate of interest you can charge is set by the Bank of England base rate, plus a set percentage. I advise my clients to use Pay on Time’s website which gives up-to-date information on what your business can claim. If your customer still refuses to settle the bill following phone and email chasing, statements, letters and charging extra, then you must put the account on stop. This is where you would send out a letter, which threatens legal action. Most businesses would have already settled by now, but the threat of legal action by your solicitor will usually result in payment. A threat of being taken to the Small Claims Court will usually lead to payment. Businesses don’t want any County Court Judgments, which will impact on their business’s ability to secure finance and also impact on their reputation. For further details search on the Government website for making a court claim. This is where a good credit control system gives you the records and proof you’ll need as part of court action. Of course, by making the initial credit checks, ensuring that you have terms and conditions, and following up quickly on late payment, it’s less likely that you’ll need to take this action. Legal action is costly and takes a lot of time and energy. And always keep your frustration off social media! Remain professional in front of your other customers, as well as your staff and suppliers. Please get in touch if you’d benefit from advice setting up a credit control system or training for your staff. The first two-hour consultation is free. Call 0808 123 1399 or email enquiries@nozeyparkers.co.uk . This is all about credit control and the importance of strong credit control systems. We’ve all heard the expression ‘Cash is King!’. Big sales figures are irrelevant if there isn’t cash in the bank. Without cash your business will fail. A good credit control system is key to achieving a healthy cash flow. Here I’ll be looking at credit control, useful tools and systems, and giving some useful tips – based on 30 years’ experience. How good is your credit control system? Could you tell me the average time it takes for customers to pay you? If the answer is ‘no’, you really do need to work out your business’s ‘average debtor days’. There are some great free tools on the Internet. Search online for ‘debtor days calculator’ to help you work it out. My preferred website is ncalculators.com. If they are 30 days and your customers are paying within 30 days, that’s brilliant. Most businesses will accept an average debtor days figure of 45 days. However, if your debtor days figure is 60 days or higher, you need to review your credit control system. Also include details of interest charged on late payment. If you’re experiencing cash flow problems it’s likely that your credit control system is not working. Businesses that have online shops, with upfront payment, will avoid many of the problems associated with cash flow. I recommend you ask new customers to pay for their first order before dispatch. You can set up an account for future orders, subject to standard checks. Ask for detailed information, check their credit history and where relevant get trade references, especially with higher value goods and services. Make sure you are satisfied with their credit history and references. Your credit limits can vary, depending on the information you get back on customers. For example, you could give a credit limit of £2,500 and 15 days for one customer, and a credit limit of £5,000 and 30 days for another. Your accounting software should be able to keep track of this information for you. Search online for ‘trade credit application forms’ on Google Images for examples of the information you need from your new customers. Chase customers who go over their allowed credit or due payment date. Your accounting software should give you an ‘Aged Debtors’ report. Contact them immediately. 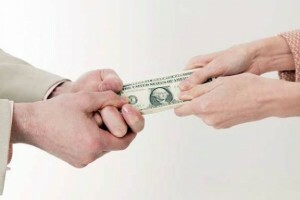 They’re more likely to pay a supplier who chases payment! In my next blog I’ll be looking at what steps to take, if you’re not getting paid. Please get in touch if you’d benefit from advice setting up a credit control system or training for your staff. Cash is King! It does not matter how big your sales figures are. If you’re not making sure there is cash in the bank, then your business will fail. Good credit control systems are what really make a difference to achieving a healthy cash flow. In this blog I want to make it clear what a strong credit control system should contain. How good are your systems now? Do you know on average how long it takes your customers to pay you? If the answer is no to this I suggest that you work it out. The link below will help you to do this. This is called your average debtor days. What are your terms of trading with your clients? If your terms are 30 days and your average debtor days figure is 45 days, then this would be classed as acceptable by most businesses. However, if your debtor days figure is 60 days or higher, it would suggest your credit control system should be reviewed. If you are experiencing cash flow problems then most likely your credit control system is not working. Credit control starts right away, when you receive an inquiry from a new customer. If you are selling products and a new customer rings or emails to place an order, or they are buying via your online shop, you should capture as much information about them as possible at that point. With online shops they will pay up front normally so this avoids cash flow problems. With phone and email orders it is best to make first orders pay up front as well and then ask them to open an account with your company, for future orders. Ask for detailed information about them, check out their credit history and get some trade references. Make sure the feedback on the credit history and references is OK before sending any further products to them. It is also wise to set credit limits to customers depending on the information you get back. I.e. 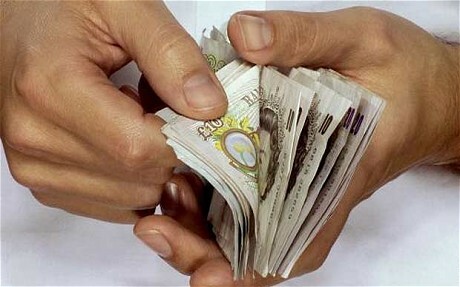 so your terms may be a credit limit of £2500 and 15 days for one customer, or £5000 and 30 days for another. Your accounting software should be able to keep track of this information for you, within the customer records. There are many examples on Google images of trade credit application forms that show the important information to capture from your new customers. Make sure that within your trading terms and conditions it clearly states about the supply of goods and services, and make any new customer sign and agree to these before any trading happens. It might make sense for your customers to sign an agreement for services and to keep a log of different stages of a job, and how payment should be made. Don’t rely on a handshake or “gentleman’s word”. Get it down in writing and get it signed off, so you have the proof of the debt, should you need it. Ask for deposit payments up front on larger orders or larger quoted works to cover your initial costs outlay. On your invoices, always state the ways your customers can settle their bills and remind them of your payment terms. Give them as many ways to settle their debts as possible: BACS, Cheque, Cash, Credit Card, PayPal, Go Cardless, Direct Debits, Standing Orders, etc. Raise you invoices as soon as the work is completed or the goods are shipped. Do not wait to the end of every month before invoicing all your clients. If you have sent out products or completed work for a customer at the beginning of a month, don’t wait until the end of the month to invoice them. You are effectively giving that customer 30 ish more days to pay. So that you have back up to prove you have supplied goods or services, get your customers to either sign for delivered goods or sign off when work has been completed. Send out statements to all your customers at the end of every month. Anybody that is going over their allowed credit or over the payment due days, (your accounting software should give you an Aged Debtors detailed report that will show this information) should be chased either by email or phone as soon as possible. In general companies will pay the supplier that makes the most nuisance of themselves! If your customer knows that if they don’t pay within the terms, you are going to be emailing and ringing them until they pay up, they are more likely to pay you before another supplier that doesn’t chase as hard. Sending statements out also ensures that your customer know how much you have invoiced them and what is still outstanding. If any invoices have gone astray then your customers should be asking for copies. Some companies only pay on receiving a statement from a supplier. If by phoning or emailing you do not get an acceptable response to your debt chasing, then you will need to send out credit control letters. If you customers still refuse to settle their bills following phone and email chasing, statements, letters and charging extras, then you must put the account on stop. This is where you would send out letter 3 and threaten legal action. Most businesses would have already settled by now, but the threat of legal action by your solicitor or maybe being taken to The Small Claims Court, will usually make the few remaining pay up, to prevent having CCJs (or County Court Judgements) against their companies. You can find out more here about The Small Claims Courthttps://www.gov.uk/make-court-claim-for-money/overview . This is where all the data, history and documents you have been keeping on your customer really makes a difference and why they are so important. You have the proof of the sale and debt. You could take out late payment or bad debt protection insurance to cover any unforeseen bad payers. Keep your frustration off of social media! Remain professional in front of your other customers. I hope this has helped. If you would like advice on setting up a credit control system or training for some of your staff, please get in touch. The first 2 hour consultation is free to assess how your debt chasing is working now and to give you advice on what needs to be improved. Call 0808 123 1399 or email enquiries@nozeyparkers.co.uk . Tina Marie Parker, business advisor and trouble-shooter, has been helping businesses for nearly 30 years. From start-ups to succession planning. From companies going through rapid growth to companies desperate to see some growth. She helps them thrive and survive. Great business advice and hands-on support for your organisation, getting the desired results, fast.